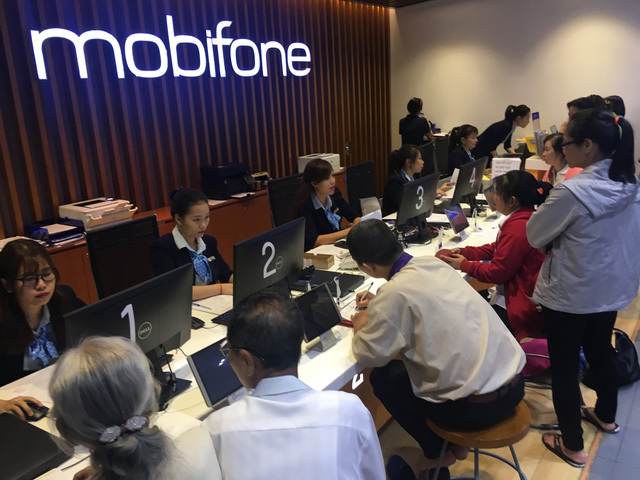 Mobile users in Vietnam have become less interested in top-up promotions offered by local carriers, as the bonus credit is capped at a modest rate of only 20 percent, while network operators look to have the ceiling lifted. Vietnamese mobile carriers used to generously offer 100 percent bonus credit to prepaid users, before being asked to lower the promotion rate to 50 percent. In March this year, a new government decree took effect, continuing to lower the cap to 20 percent. More than five months after this point, the 20-percent promotion limit seems to fail to meet its initial objectives. Vietnamese mobile subscribers looking forward to top-up promotions from mobile network providers has become a thing of the past. “Previously, people often reminded each other of buying top-up cards whenever there was a promotion, but few are eager to refill their mobile balance to enjoy bonus credit these days,” said Minh Vuong, a prepaid mobile user in Ho Chi Minh City. While missing the chance to get the 50 percent bonus for their mobile accounts used to upset users, they no longer have that regret today. “It doesn’t matter if I miss a top-up promotion now,” Phuong Anh, a Hanoi-based mobile subscriber, said, implying that the 20 percent bonus is insignificant. Sharing the same atitude, Bich Lien, a local in the southern province of Binh Duong, said that she did not care anymore about mobile carriers’ promotion campaigns, though she previously would not top-up her account until there was a 50-percent bonus. According to the Ministry of Information and Communications, the 20-percent cap on bonus credit for prepaid subscribers aims to promote post-paid subscriptions which are still eligible for a 50 percent bonus. The plan is also intended to minimize the use of prepaid SIM cards to send out spam messages, a method often used by advertisers. However, experts hang a question mark over the latter objective, particularly after Vietnamese mobile carriers were in April urged to submit real personal information for their mobile account registration. This means there are effectively no more unregistered SIM cards, meaning the bonus cap contributes little to curbing spam messages, according to experts. “The 20-percent promotion ceiling is also not convincing enough to drive people to move to post-paid accounts,” Quan said. Tran Manh Hung, chairman of Vietnam Posts and Telecommunications Group (VNPT), assessed that the new top-up bonus limit for prepaid subscribers is not suitable for corporate management and not in line with the rules of a market economy. Local mobile network carriers already called on scrapping the 20-percent promotion ceiling during the first half-year meeting of the Ministry of Information and Communications on July 9. The promotion ceiling rate was met with objection when it was only a draft proposal.